Essential oils are everywhere now, however they are not all equal! I have chosen to pair up with dōTERRA Essential Oils for a few reasons, one of them being . Cō-Impact Sourcing. What exactly is Cō-Impact Sourcing and why do I feel so passionate about this initiative? dōTERRA has taken on the responsibility of improving the livelihoods of the farmers, harvesters and distillers of dōTERRA oils and using their resources to make a positive impact on their lives. 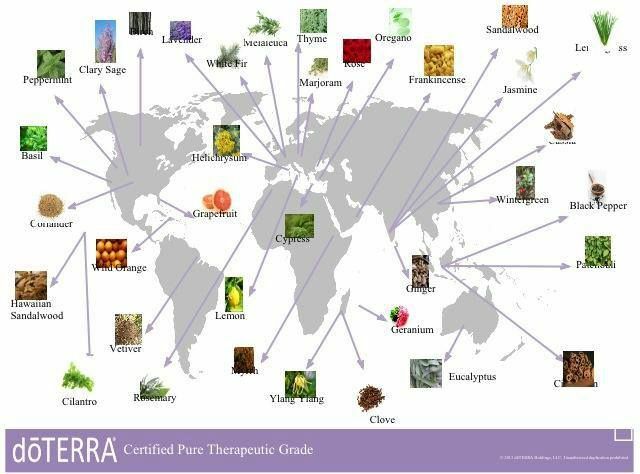 dōTERRA receives its products from over 40 countries around the world, many of them developing countries. This company has worked incredibly hard to ensure that workers are treated ethically by generating equally beneficial partnerships. These partnerships have helped create sustainable jobs and have provided a source of reliable income for individuals in these developing countries – something that is not common in many of these places. As such, dōTERRA has committed to provide on-time payments at reasonable prices. As part of the Cō-Impact Sourcing enterprise, dōTERRA has helped their charity organization, Healing Hands Foundation, fund many projects that have greatly impacted these developing countries. From providing clean drinking water facilities and irrigation systems to building schools and medical clinics, this foundation has changed and bettered many lives across the globe. From Frankincense to Cardamom to Wintergreen and many more, the oils are derived from countries all over the world. For example, frankincense has been harvested in Somalia for years. As part of the Cō-Impact Sourcing initiative, harvesters are promised on-time payments, fair wages, and better working conditions. Harvesting frankincense is not an easy process and many harvesters must leave their families for months at a time. Women typically hold this job and the process requires a great amount of planning, skill and organization. dōTERRA has arranged for the harvesting locations to be in rural areas, promising more favorable working conditions that are also closer to their families. Additionally, they’ve removed the need for the “middleman” and have started working directly with the harvesters, ensuring women receive fair wages. Also, the dōTERRA Healing Hands Foundation has funded the construction of two Somali schools for hundreds of children of harvesters. This is only one example of the impact that Cō-Impact Sourcing has had on developing countries. As you can tell, dōTERRA really works hard to positively impact the countries they work with and because of this, I applaud them and the quality of their product. I truly believe in the benefits these essential oils offer. If you have any questions about dōTERRA and how their products can help you, please contact me. I’d be happy to discuss my experience and the added-benefits essential oils can bring to your life. Check out my dōTERRA Essential Oils here!